A new review of clinical studies shows that antidepressants are effective at treating depression, but must be given time in order to work properly. 1 in 5 South Africans may experience a severe episode of depression at least once in their lifetime and women are twice as likely to suffer from depression as men. Depression affects millions of people worldwide. It can be severely disabling, impacting general health and wellbeing, and performance at work and school. Like other mental illnesses, depression can have a profound effect on social life. In fact, one in two people suffering from mental illness say they have lost friends and social support and that their condition has affected relationships with family members. According to the South African Depression and Anxiety Group (SADAG) as many as one in five South Africans may experience a severe episode of depression at least once in their lifetime and women are twice as likely to suffer from depression as men. The challenges faced by South African youth make them particularly vulnerable. Conflict with parents, divorce, broken families, being orphaned, having an unemployed father or chronically ill parent, child abuse, lack of emotional support, domestic violence, alcohol, substance abuse, and dissatisfaction with body image may all increase the risk of depressive symptoms among young people. It is not surprising that depression has a considerable impact on the economy, both in terms of having to take time off work and low productivity at work. A study from the London School of Economics published in 2016 estimated that depression cost the South African economy more than R210 billion annually. This figure may underestimate the true costs of depression where the illness remains undiagnosed, or where people may be reluctant to disclose their diagnosis for fear of stigma. According to the World Health Organization (WHO), globally fewer than half of those affected by depression ever receive treatment. This shocking figure may be even lower for South Africans. SADAG estimates that only around 1 in 6 people with any mental illness receive treatment. A further problem is that even among those South Africans who do get treatment, only around one third continue to take it for longer than four months, which is just not long enough to treat symptoms and keep them away. Possible reasons for discontinuing might include feeling better, side effects, fear of addiction, and feeling that it’s not working. For a long time, there has been debate and concern as to how effective and safe antidepressants really are. This may partly be because it takes time to trigger changes in brain function, so the full effect of the antidepressant is only apparent after a few weeks of treatment. In contrast, side effects can appear within a few days, long before the therapeutic effects appear. 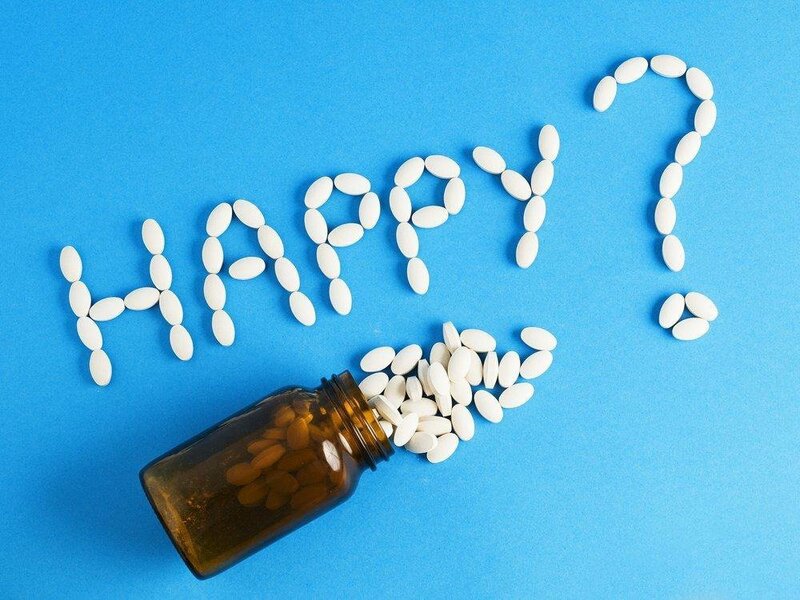 However, a new review of clinical studies published in the Lancet medical journal has provided convincing data that if given sufficient time, antidepressants do work, and the benefits can outweigh the potential for side effects. In one of the most comprehensive reviews of published and unpublished data to date, the researchers reviewed 522 trials of 21 different antidepressants, including 116 477 adults with depression who were treated for around 8 weeks. They defined efficacy as 50% or greater reduction in symptoms and also looked at remission, a measure of complete resolution of symptoms. Discontinuation of treatment and patient acceptability were compared as an indicator of how well the treatments were tolerated over time. All the antidepressant types were more effective over time than placebo, but some were more effective, better tolerated and more acceptable to patients than others. One of these was agomelatine. It was among the most effective but stood out because it was also associated with a very low potential for side effects. In terms of study drop-outs, agomelatine was one of only two antidepressants that was better tolerated than placebo. Agomelatine is an unusual antidepressant, because, in addition to an effect on some of the more traditional chemical pathways in the brain (e.g., serotonin and dopamine), it is the only one that works by affecting the same areas of the brain as melatonin, the hormone associated with normal sleep. However, unlike most other commonly used antidepressants, it does not directly increase serotonin. This mechanism of action may account for not only its effectiveness in treating the symptoms of depression and low tendency to cause side effects or withdrawal symptoms, but also its tendency to improve anxiety and quality of sleep. Sleep is often adversely affected in people with depression. In contrast, agomelatine is unlikely to cause sedation and, unlike many other antidepressants, it is not associated with sexual problems or weight gain. This large, well designed and thorough review of antidepressants is encouraging and provides reassurance that, if they seek help from their doctor or local clinic, effective treatment is available for people with depression. However, it is important to remember that once an appropriate medication has been started, it is necessary to stay on it to give it a chance to work.